The second edition of the popular "Remote Sensing Using Satellites" module updates imagery of recent hurricanes as well as other phenomena from more recent satellites. The suggested audience for this module is high school and undergraduate students. In the second chapter, we will focus even more on hurricanes and specifically Hurricanes Jimena (2009), Ike (2008), and Irene (2011). It was difficult to follow and it didn't make the information extremely clear. The lesson was so educative and its so involving as you undertake the questions to test your understanding. It was lovely and educative. I would highly recommend it to others . The lesson was very interesting and it has increased my understanding. MedEd is very helpful to students or any person who who would wish to understand more in Meteorology particularly in the subject matter in a very effective manner. Lessons are well presented that a student will never have a reason to not understand the lesson. This lesson is excellent, it allows you to reapplication the knowledge gained. MetEd has some very useful information. But, the lack of correct answers given upon quiz completion make it mostly useless in the learning process. It is good and fun to familiar with the satellites that we used and how to understand and what its important role in meteorology. More practical work is needed to be familiarized with the satellites' images. I liked all of the work with images and not just theory behind it. Interactive is good. I liked how the hurricane section showed the track of the hurricanes and included before, during, and after landfall information. This lesson presented an excellent and clear introduction to remote sensing using satellites. 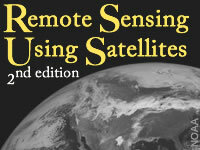 It was very helpful in helping me to understand basic concepts in remote sensing. This was annoying! I say this because I took it so many times. It was a good test that required critical thinking and the first few times I took it, I did not use mine. Therefore, I failed. Epically! I know better moving forward. It was Good. Learned a lot. Although some of the things in this quiz is new to me but I enjoy going through the questions and I had learn a lot from the way the informations are presented in the notes. I would encourage my work colleagues to take part in this quiz to broaden their knowledge as well. This course has given me the basic needed in remote sensing, i have recently been transferred to the remote sensing division in my workplace and i am very much equipped with regards to the fundamentals of remote sensing. These lessons are strongly useful in order to better understand everything in it. Overall good, simple module. Got a little off topic explaining hurricane hazards for a page or 2, and then suddenly went back to satellite, so that was a touch confusing. Most examples clear, although I had to squint to see one or two of them for sure. Excellent organization of course material. Easy read and follow! Great information on the different types of satellites and there imaging. The lesson doesn't address the objectives as well as it could. I found this module to be very interesting and taught me things about hurricanes I has always wanted to know. Also gave me a much better understanding of the different information the satellite visible and IR channels provide. I am in a level 100 college course and this training made me feel completely lost. I guessed at 70% of the answers and unfortunately feel that I learned very little. This would be a good course for a person majoring in meteorology but not for a freshman level science class. This module gave broad overview of the differences of IR vs visible, geostationary vs polar orbiting satellites, and how hurricanes develop and move. The quiz covered all topics discussed in the module. Some of the questions that involved locations on satellite imagery were vague because the questions did not clarify if it was a particular point or region the questions referred to. Perhaps having an arrow pointing to the specific point on the map or a shape encompassing the area to be referenced would clarify the question. This is an outstanding module. Go ahead try it!! really nice. -I am a high school science teacher of some 20 years. Develop a basic understanding of the principles of satellite imagery interpretation. Develop a basic understanding of some classic hurricane characteristics.